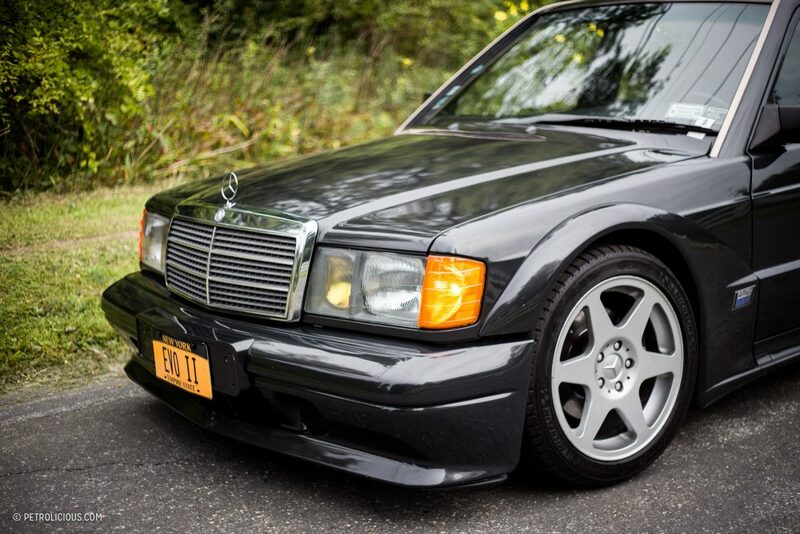 The ‘80s were good to Mercedes. 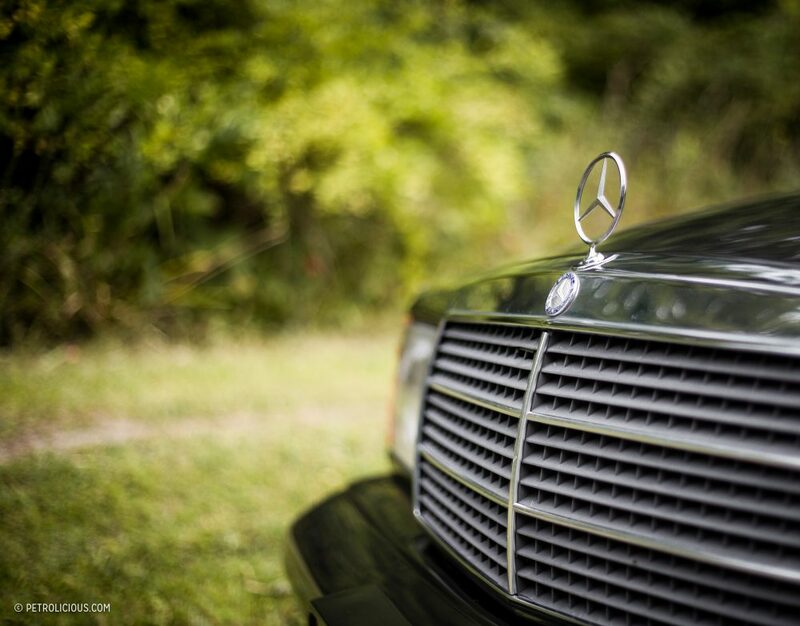 The stalwart W123 chassis and its myriad forms further galvanized the brand’s reputation as a top-quality manufacturer of bulletproof luxury cars; they’d just released the second (official) generation of the venerated S-Class to the envy of gangster wannabes and junior executives alike; and it was the first decade since the ‘50s and that awful accident at Le Mans that the brand would return to premiere motorsport. 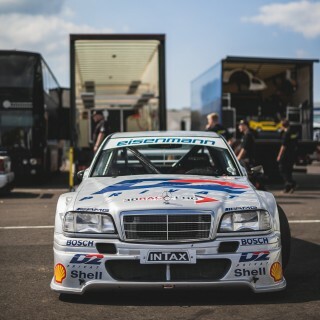 For their debut season in the World Sportscar Championship in ’89, Mercedes and partner Sauber walked away with the manufacturer’s championship, winning seven of the eight races in the series. That car, the Sauber-Mercedes C9, would also claim outright victory at Le Mans in the same year—their first attempt at the race in more than three decades. In other words, Daimler’s automobile division was doing quite well for itself on the racetracks and roadways of the world, and in addition to these commercial and competitive successes, they also released a car with nearly unmatchable versatility, the Mercedes-Benz 190. 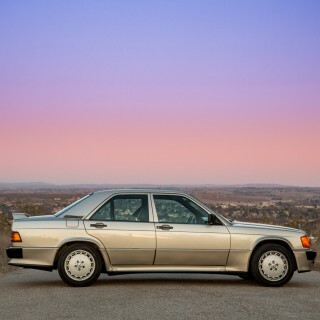 Taken collectively, Merc made almost two million cars bearing the 190 designation, the gamut of which ran from box-stock beige Moroccan taxi cabs packing workhorse diesels under the hood and no options whatsoever, to the homologation specials with wrung-out Cosworth-and-AMG-developed engines wearing aero kits developed with wind tunnels and phDs. 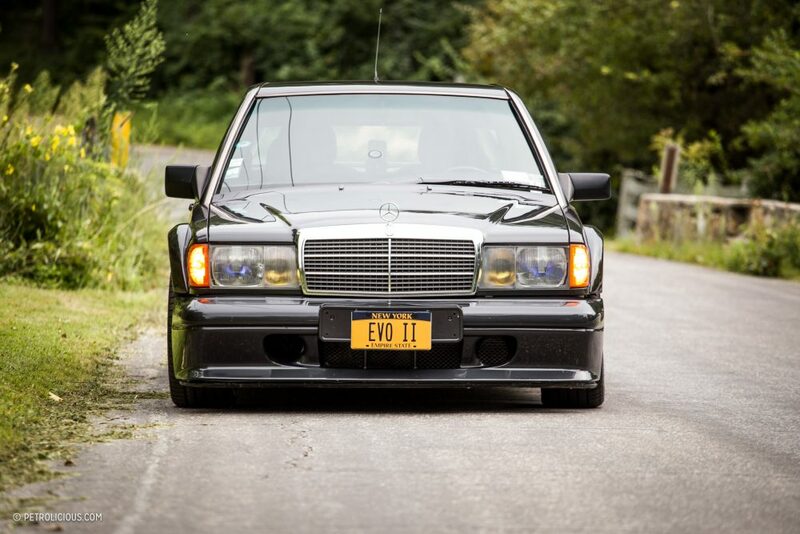 Before the Batman sedan that’s pictured here though, the first of the performance-oriented production 190s came to the world in the form of the 1984 190E 2.3-16. 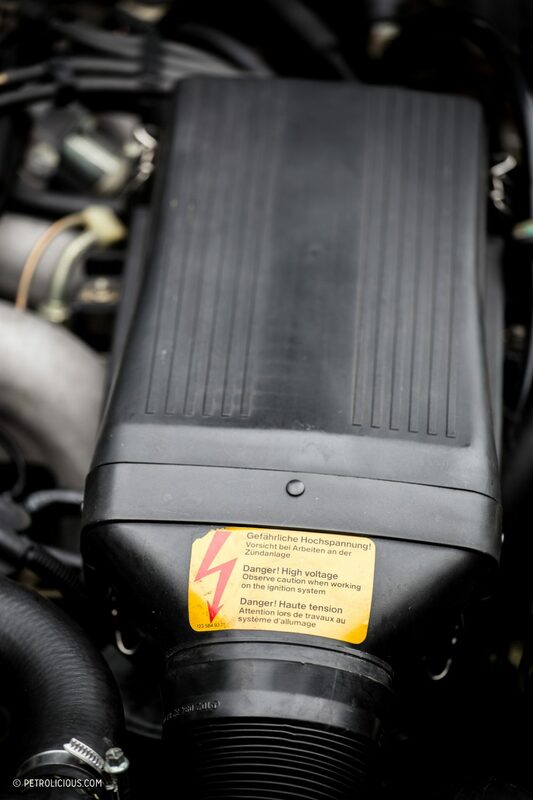 Steering ratios, damper stiffness, ride height, aero, fuel tank capacity, bushing durometers; almost everything was tweaked, and it featured too many changes over the base models to list, but the most significant of the lot was the engine that gave the car its code-like model name. 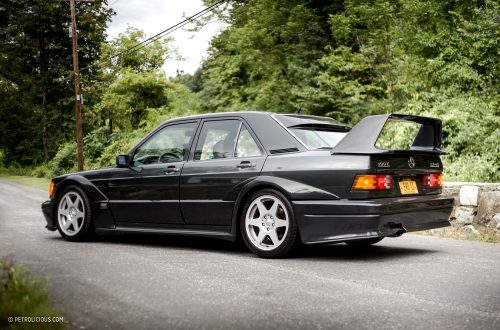 Originally, Mercedes planned to go rallying with the 190E, and they tapped the motor magicians at Cosworth to develop the existing inline-four into a race-capable unit. 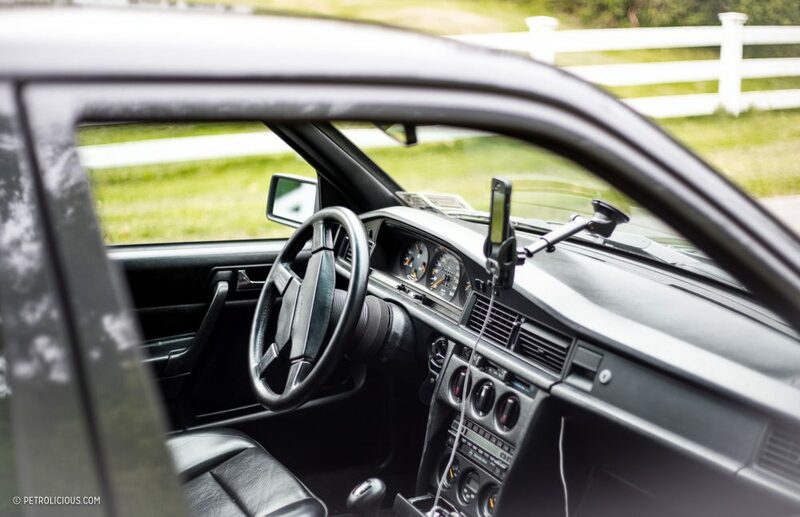 The car never really achieved anything on dirt though, as it was quickly made obsolete by the rapid developments in all-wheel drive and forced induction that characterized the sport’s ascension into Group B. 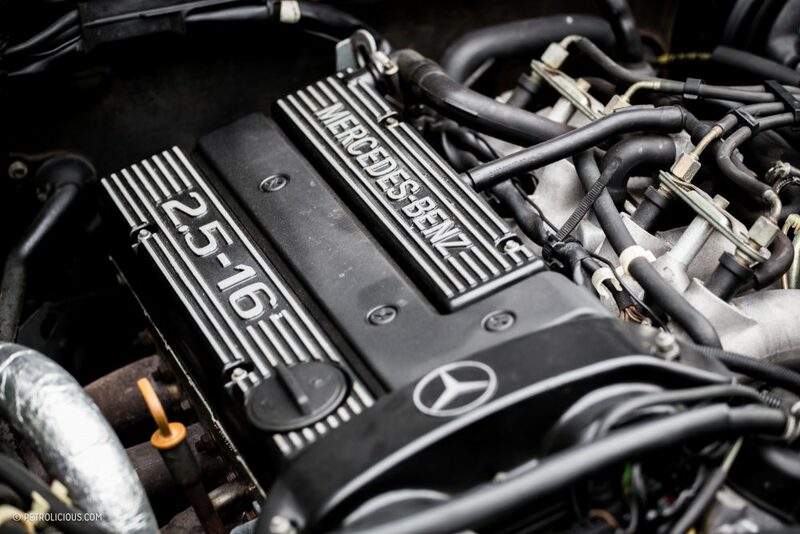 No matter though, because the 190 was likely better suited to touring car racing to begin with, and so Mercedes quickly went about homologating the 16-valve DOHC Cosworth motors for competition in the Deutsche Tourenwagen Meisterschaft (DTM). Early into production of the 2.3-16, they held the now infamous one-make event at a rainy Nürburgring in 1984 (fun fact: this was inaugural race at the then-new GP course), in which a young Senna would drive to victory against canonized names like Lauda, Hill, Prost, Brabham, Scheckter, Surtees, Rosberg, more. That’s more a Senna legend than a Mercedes one though; the car would have its own day soon enough. 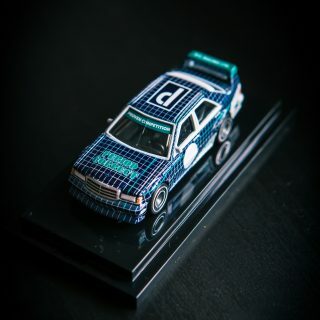 To compete with the M3s and Sierras that were built to beat it in Group A touring car racing, the 190E received its first official “Evolution” model in 1989 in order to homologate the 2.5-liter version of the Cosworth motor, as well as a new aerodynamic kit featuring wider wheel arches and a trick front and rear spoiler setup. It didn’t prove quick enough to beat the BMWs in ’89 though, and neither of the two could take down the Audi V8s and their Quattro systems in the following year. 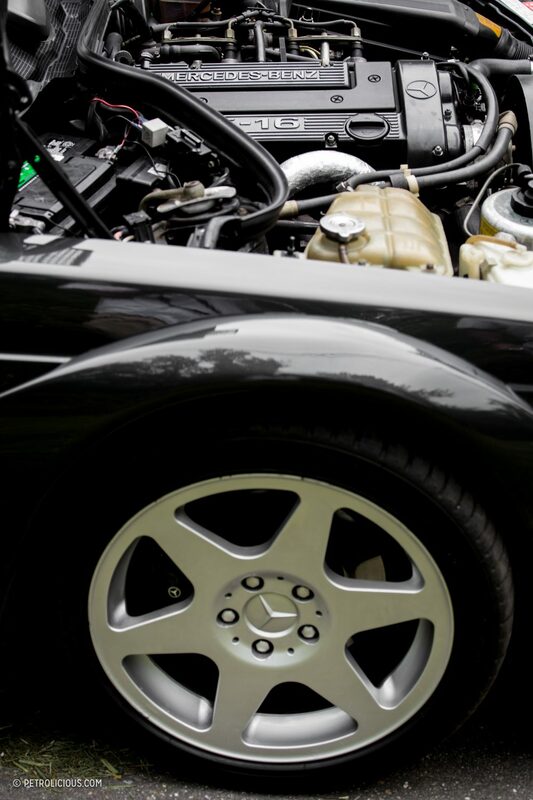 However, midway through the 1990 season, Mercedes completed the required 500-car production run of its downright wild Evolution II, and started to shift the paradigm back to Stuttgart. 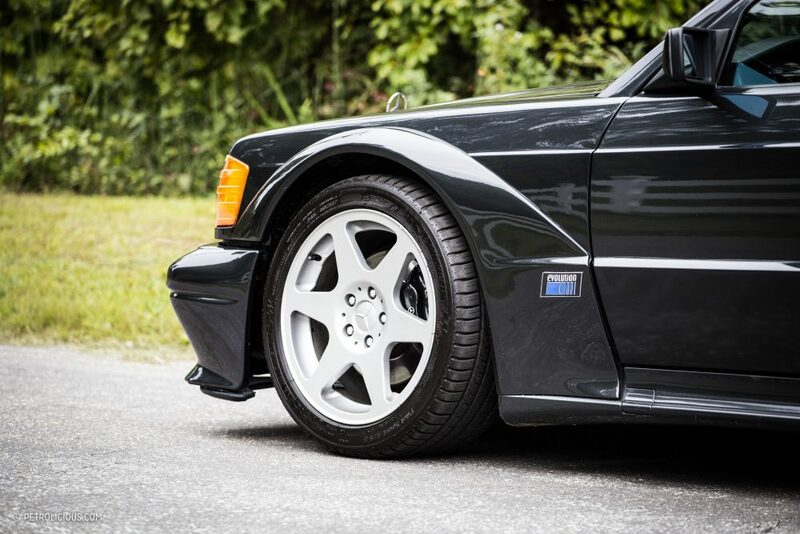 The race car earned the right to wear its ludicrously large rear wing and swept-back wide body arches then, but what about the road car that was homologated to support this aggressive package? 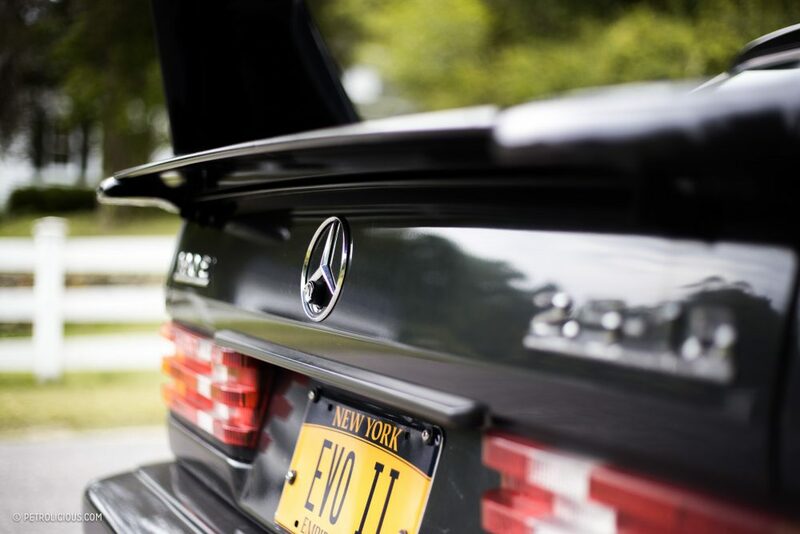 One look at the street-spec Evo II betrays its date of birth, but to the vast majority not in the know, first impressions also conjure up words like “ricer,” “chav,” “boy-racer,” depending. Don’t listen to those people; they are either willfully or haplessly ignorant. This car is just plain rad, and the fact that such a bizarrely augmented creation was green-lit by the steely men of Mercedes makes it all the more so. And while I’m sure that many people I admire would disagree with me, I tend to think anything gaudy gets a free pass if it’s built by the factory. But then again, it’s not really gaudy at all is it? It’s purely functional—that’s kind of the whole point of homologation specials—and regardless of how the aero package looks, there is no disputing that it was designed solely to carve out an advantage on racing circuits. That should discredit any comparisons to Fast and the Furious right off the bat. 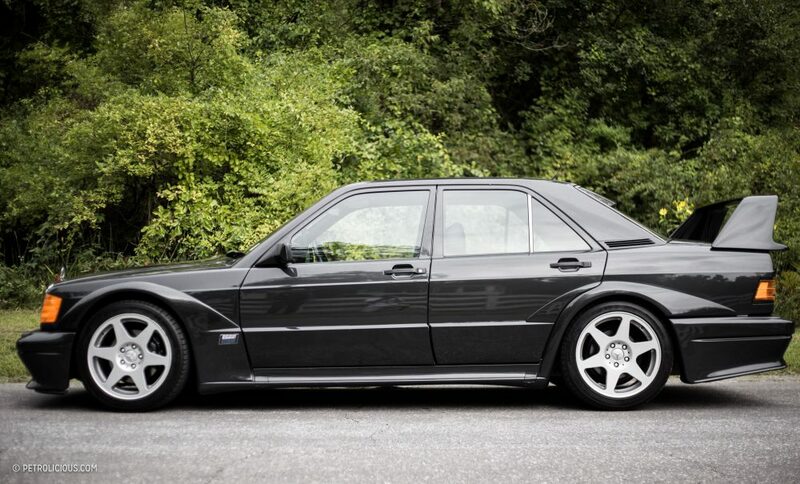 After all, you wouldn’t level the same claims against the CSL “Batmobile,” would you? Now that I’m done preemptively defending it, I’ll try not to gush too much about what it was like to play around with one. A few months ago I attended the Lime Rock Park Historic Festival in Connecticut, and after a sublime day of old school vintage racing I had the pleasure of meeting up with Didier Lavion. 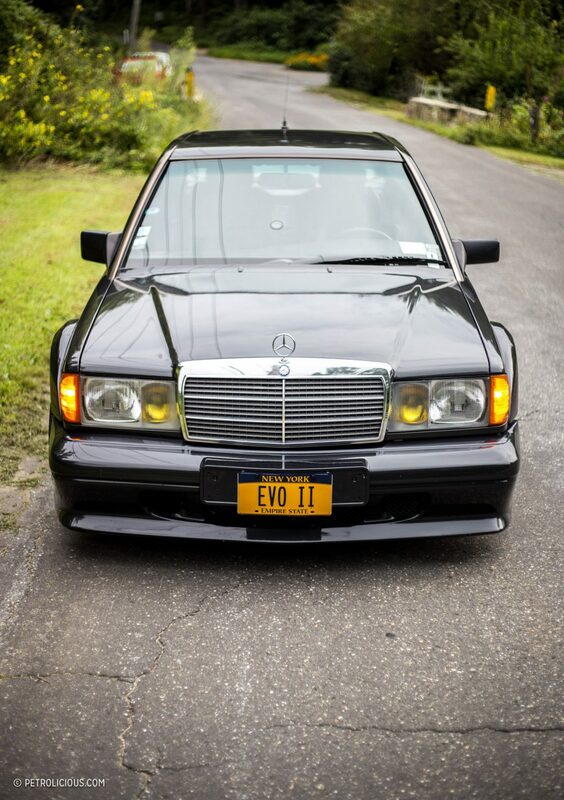 You may recall the name from a previous story we did on his astounding collection of German modern classics, and since then he’s added an Evo II to his fleet of Teutonic titans. And here I was with the keys. I guess I’ve been in and around more traditionally appealing cars, but I have to say this is my number one, the instinctual answer to the ultimatum: “What is your favorite car?” Perhaps I’m just another enthusiast who prefers the products he grew up with, but that’s taking too much credit away from this remarkable machine. 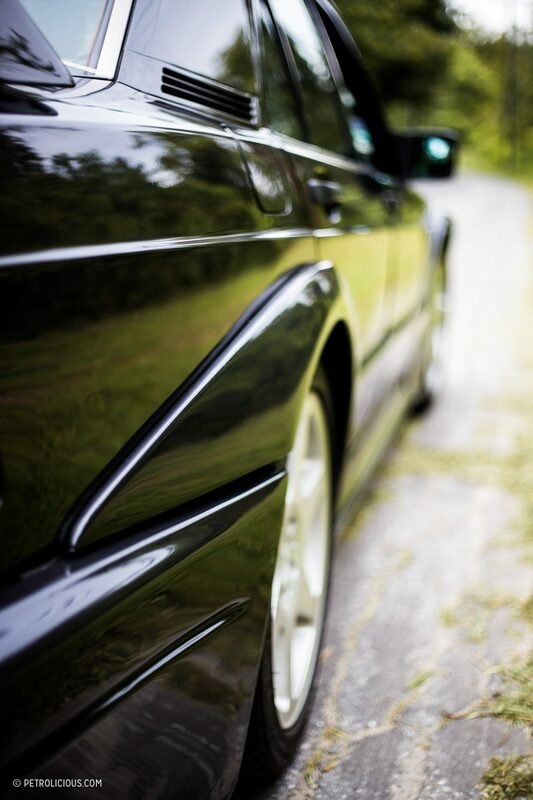 It defines the era it competed in, more so than the M3 even, and it also marked one of the last periods of attainable homologation specials. Its nostalgia factor is immense, but it isn’t just a novelty. 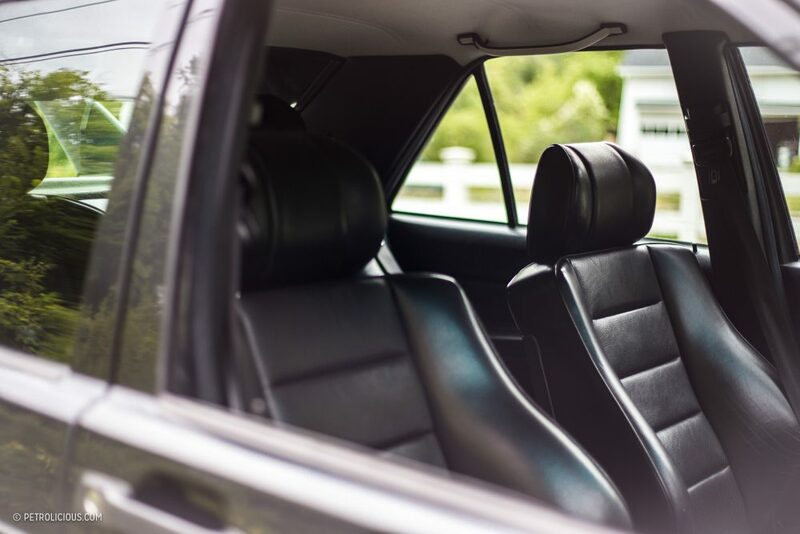 I was set up for a big let-down then, and I knew it wasn’t going to shove me back into the chunky big-bolster seat, even with the magic fingers of Cosworth and AMG tickling the motor. 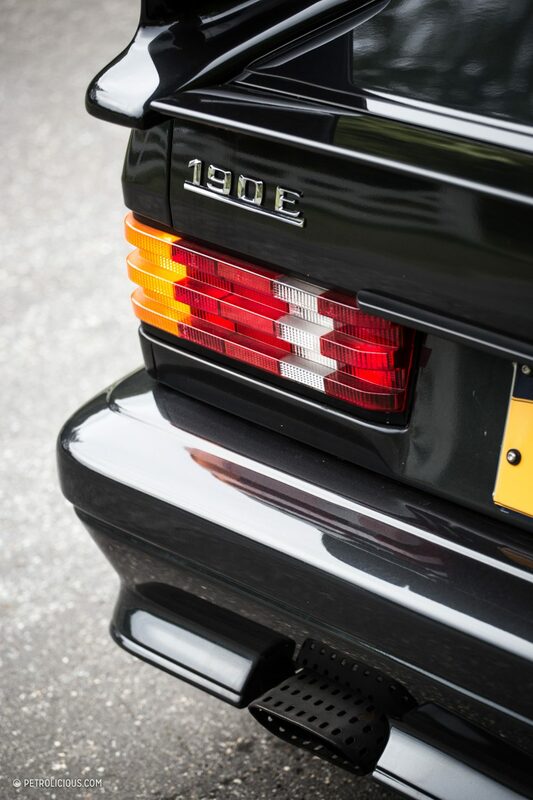 The E30 M3 is notorious for being much slower in reality than it is in our heads, so what was I to expect from a car with two more doors and no more horsepower? I will be forever grateful to Didier for letting me find out how wrong I was to worry. To give a little more context, I’d driven to our meeting spot in my E34 M5, which has roughly 100hp over the Merc, so I already had a recent and definitively faster reference point. Despite this nagging doubt that the car could possibly live up to the levels I’d built it up to, I couldn’t get rid of the embarrassing full-face smile and the shaking hands I was apparently going to be stuck with during the drive. Careful not to scuff anything with my shoes or rub the bolsters too much, getting into the car was an activity mired in nervous reverence. This was my dream car, and I was going to drive it, even if it was just a short sprint up and down the road ahead of me. Once I’d muttered “wow” about a hundred times as I took stock of everything (in-car adjustable suspension switches, OEM-fitted stopwatches, limited edition plaques, etc. ), it was finally time to put it in motion. A twist of the key was answered by the buzzy-brawny idle that’s typical of highly-tuned naturally aspirated four-cylinders, and a few precursory actuations of the clutch in neutral revealed a pretty standard level of resistance that translated into pretty standard degree of grabbiness once engaged. So far no surprises on the up or downside then, though I did get irrationally excited when I checked the rearview mirror out of habit only to be met with a scene comprised almost exclusively of the massive two-tiered wing and the window-shrinking roof spoiler; it’s not form over function, it’s just one kind of function taking precedence over another. The car was warm already, so I gave it a stab up to the middle of the rev range before shifting the dog-leg gearbox up and to the right for second gear. The immediate impression is that it’s a very responsive and connected powertrain, and I imagine swapping out the flywheel for something lighter would really accentuate this. That’s not to say there was any noticeable rev-hang though, and throughout my brief drive the engine always spooled up more than quickly enough to make rev-matching a very easy exercise; you get the sense that you could manipulate the five-speed Getrag all day as if you were driving one of the car’s distant taxicab cousins. That said, the Evo II is far from a plodding diesel, and the first real surprise of the day came when I let the tach complete its sweep. 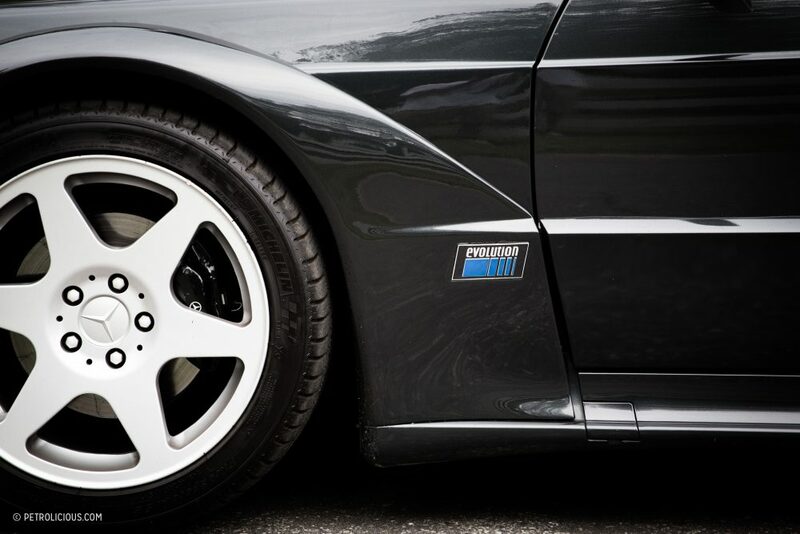 It won’t produce anything stellar in the quarter-mile, but it’s plenty quick. Really, it is. With right around 230 horsepower coming on late in the power band it’s very much like its M3 rival in that it only reveals its potential when you’re driving the snot out of it. 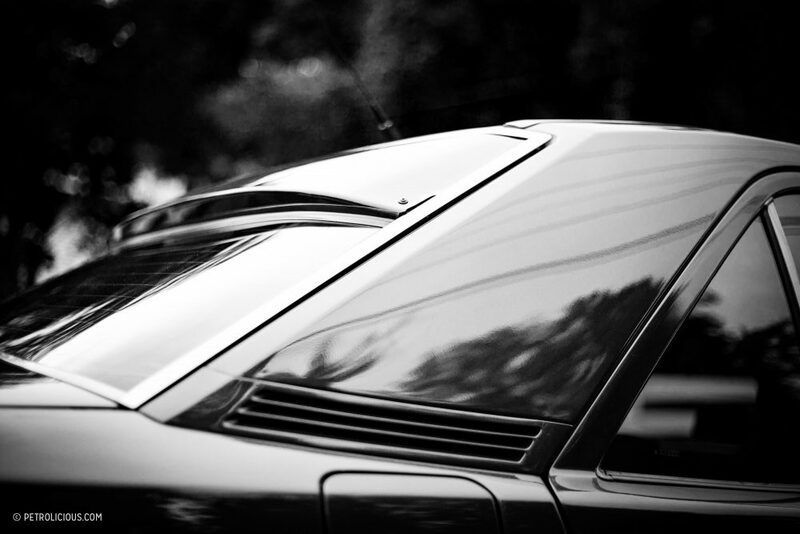 I wasn’t hucking it off curbs and trading paint while riding on the redline of course, though it doesn’t take much talking with the car for it to tell you that’s what it wants to do. It’s a terrific momentum driver in that sense—it makes you feel like a pansy for not pushing harder—and I think it comes down to how long the chassis lets you keep your foot down. 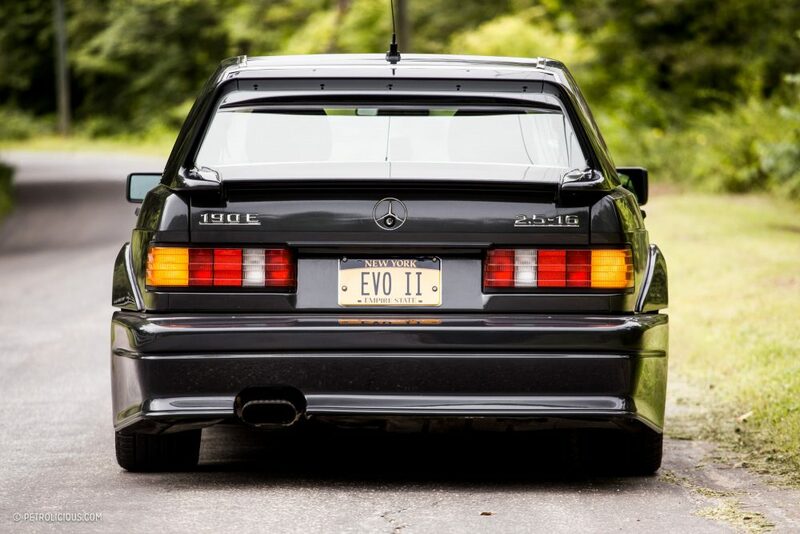 With a front and rear multilink suspension that was part of the homologation package, it’s no wonder the car consistently earns praise beyond the E30 by those who’ve driven both, and though I won’t pretend to have enough experience in either to make a final judgement, I can say that the Evo II is just plain planted. You can botch the apex like you walk with a white cane and it won’t ask you to lift off the gas, you just tweak the steering wheel and the car goes where it’s pointed. Like I said, this all needs to be framed by the fact that I didn’t have it on a track, nor for all that long in general. 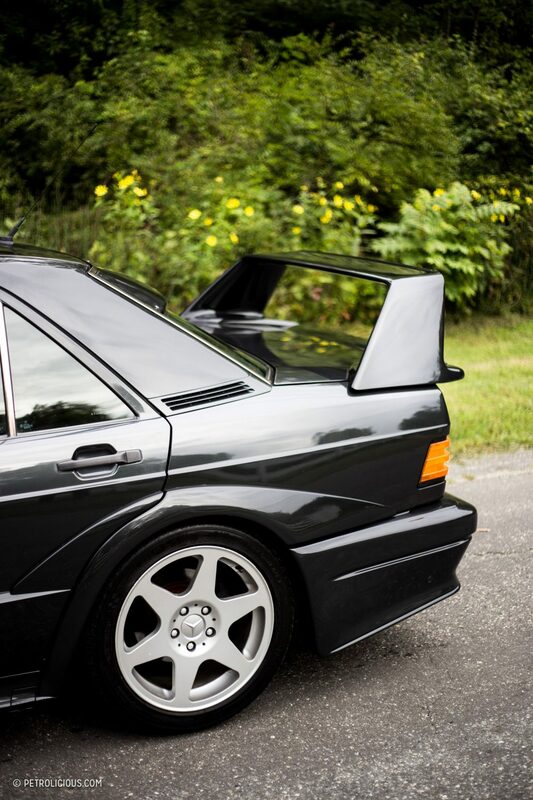 That short stint was enough for me, and while I would love to spend my life hot-lapping the Nordschleife in an Evo II, having any opportunity to drive your favorite car is a special occasion that should leave you happy with whatever time you can get, especially when it’s in something that never came to the US in the first place. 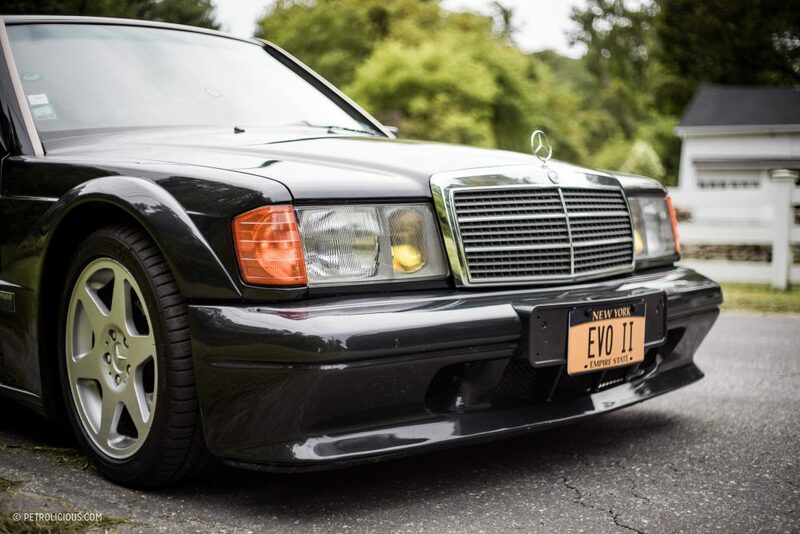 The overall experience lived up to the expectations I had for this Merc, and if you ever want to drive a DTM car on the street this is as close as you’ll get to the experience in OEM form. And if your neighbors make fun of the “bodykit,” be sure to let them know their sedans never won touring car championships. We had been looking to get the sims mobile cheats online. Drove a 2.5 16 for a while. Felt absolutely solid though the dog leg “racing” first gear was always a pain. A decent drive and quite fast. 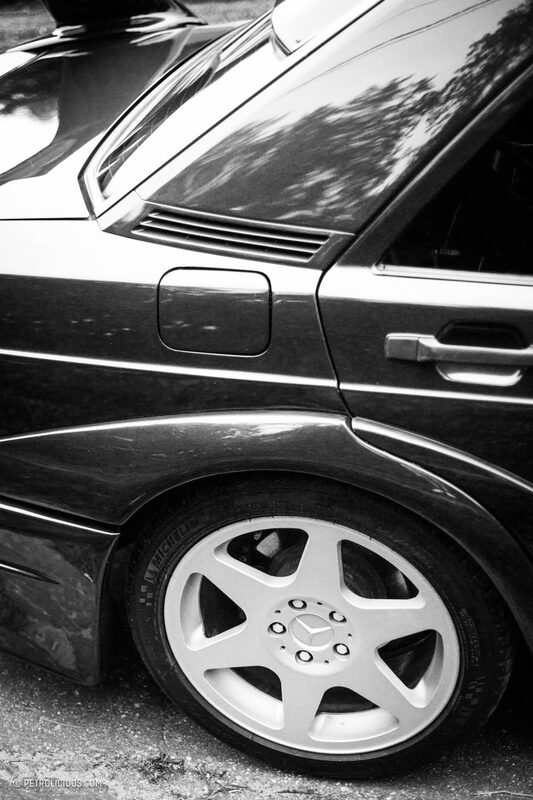 Always loved the one stalk steering column, so Mercedes. This looks like a bit of an animal. Great photos. Love this one! Great article and photos. I absolutely love that you can bring these to the States now. Such a rare and unique factory build, and still looks the pure business. For those who are in the know of course. 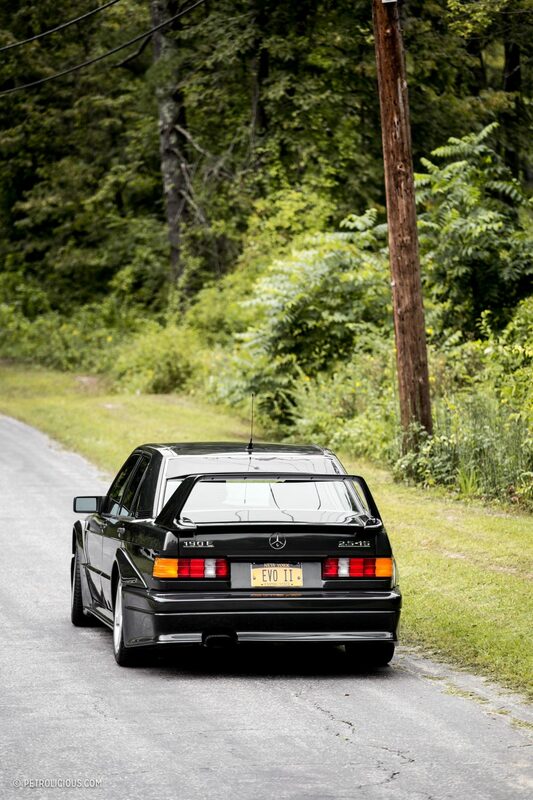 I am in the E30 camp, but I wonder whether BMW did redesign their wind tunnel as I think history has proven MB right? 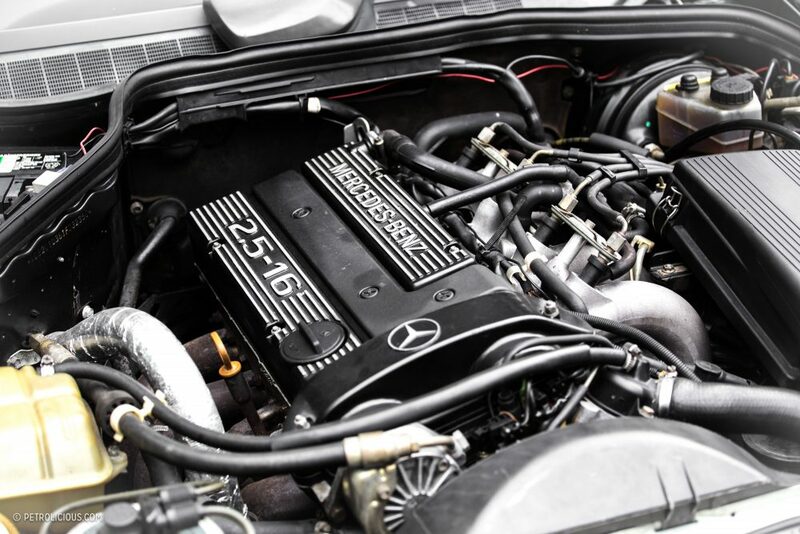 16 valve Mercedes. The accounting dept. went nuts because everyone else was driving a Cadillac or a Lincoln Town Car. Audi 100. 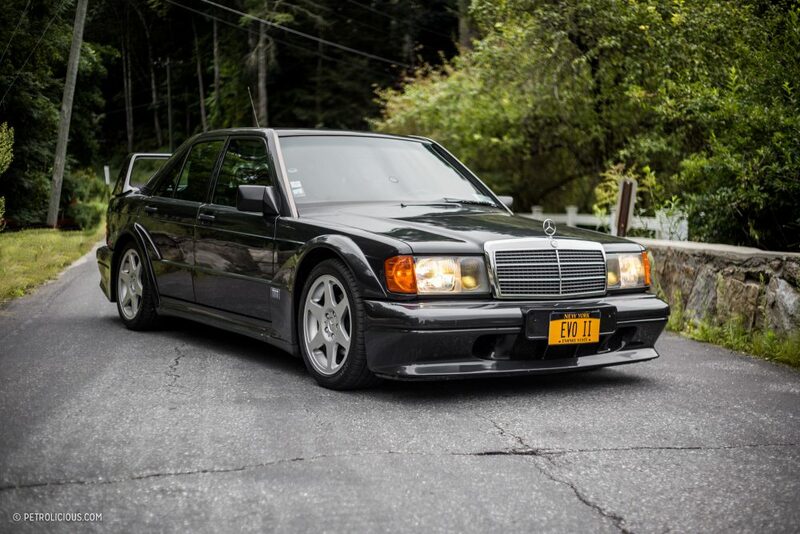 I still miss the opportunity to have the Mercedes. 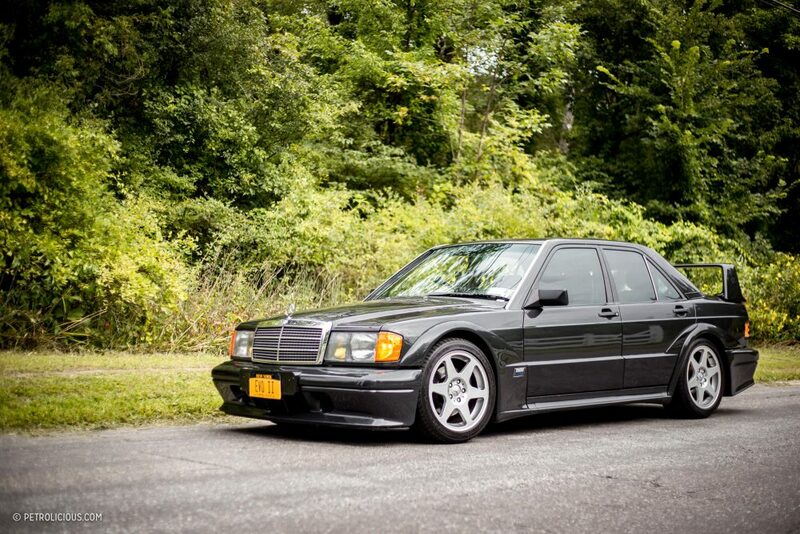 One of the finest small sedans produced.